An inferior vena cava filter, also known as an IVC filter, is a small, metal device designed to trap blood clots and prevent them from traveling to the heart and lungs. Doctors surgically implant the spider-like devices into the largest vein in the body, known as the inferior vena cava. The filters sometimes migrate and may cause serious complications. IVC filters help people who are recovering from accidents and surgeries by preventing potentially fatal lung clots. Doctors commonly place the devices in people who are at risk for pulmonary embolism when blood thinners are ineffective or not an option. Doctors insert the temporary or permanent device into a patient’s inferior vena cava, the main vein in the body that returns de-oxygenated blood from the lower body back to the heart and then to the lungs. The device resembles a metal cage. Its metal wires capture and trap traveling blood clots before they reach the heart and lungs. The U.S. Food and Drug Administration approved the device in 1979, and its use has increased continuously through the years. By 2012, doctors had inserted about 259,000 filters in patients, according to a 2016 study in Seminars in Interventional Radiology. But a 2016 analysis published by the American College of Cardiology found the devices were likely being over-used, retrieval rates were low and surveillance data was lacking. “In the United States, the IVC filter implantation rates are 25 fold higher than in Europe,” according to Dr. Riyaz Bashir, director of vascular and endovascular medicine at Temple University Hospital. “The hospitals across this country collectively are spending close to a billion dollars on these devices every year without a known significant benefit. In 2010 and again in 2014, the FDA issued safety warnings about IVC filter complications, including device migration, filter fracture, embolization, blood vessel perforation, difficulty removing the device, lower limb deep vein thrombosis and inferior vena cava occlusion. The agency recommends doctors consider removing retrievable filters as soon as the risk of pulmonary embolism passes and usually within a 29- to 54-day window. After that time period, potential harm outweighs the likely benefit, according to a 2013 FDA analysis published in the Journal of Vascular Surgery. “The FDA is concerned that retrievable IVC filters, when placed for a short-term risk of pulmonary embolism, are not always removed once the risk subsides,” the agency said in a 2014 safety communication. Attorney Holly Ennis explains characteristics of an IVC Filter. Blood clots that develop deep inside the pelvis and the lower and upper extremities are referred to as deep vein thrombosis, or DVTs. IVC Filters are designed to catch clots before they reach the heart and lungs. DVTs aren’t always life threatening, but they can be if they travel to the lungs and block normal blood flow. 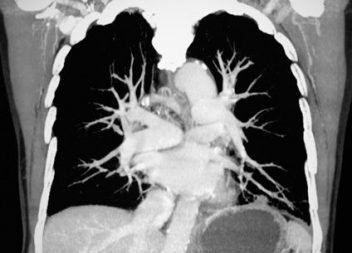 This is known as a pulmonary embolism (PE). PEs cause about 300,000 deaths every year and are the third most common cause of death in hospital patients. People who take anti-clotting medications but still experience DVTs and/or people who can’t tolerate blood thinners because of adverse reactions or bleeding make good candidates for IVC filters. Doctors may also recommend the devices to patients who suffer serious trauma or undergo surgery because the risk of blood clots is elevated. There are two types of IVC filters: permanent and retrievable. Retrievable filters are intended for short-term use but provide the option either for long-term use or for removal when there is no longer a risk for pulmonary embolism. Permanent filters, on the other hand, are designed only for long-term use. Three companies that manufacture the devices are C.R. Bard, Cook Medical and Boston Scientific. Doctors use a catheter to insert the device into a patient’s inferior vena cava through a small incision in the neck or groin. It usually takes a couple of days for a patient to recover from IVC filter placement. The way doctors remove retrievable filters is similar to how they implant them. Health care providers inject contrast or X-ray dye around the device to make sure it is safe to proceed with the removal. A catheter-like snare goes into the vein and grabs the hook located at the end of the filter. A sheath covers the filter, and the doctor pulls the device out of the vein. According to a 2014 study published in the Journal of Vascular Surgery, retrievable IVC filters that were left in place were associated with significantly higher complication rates than permanent filters. The study’s authors identified 383 patients in whom retrievable filters were left in place and compared them to patients with permanent filters. Both blood-clot-related and device-related complications were more common with retrievable filters. IVC filters have the potential to migrate away from their surgically positioned location, rendering them ineffective. Sometimes the device itself punctures a vein, which can cause bleeding and other complications. Broken pieces of filters can travel through the blood and lodge in organs, such as the heart. Retrievable filters in particular are associated with potential risks such as damaging veins and failing to stop blood clots from bypassing the device. Complications typically fall into three categories: procedural, delayed and retrieval. Between 2005 and 2010, the FDA received nearly 1,000 adverse event reports involving IVC filters. Most involved device migration and embolization, which is movement of the entire filter or fracture fragments to the heart or lungs. Seventy cases involved perforation of the vena cava or internal organs, and 56 involved the device breaking. The agency concluded the complications could have been related to retrievable filters remaining in the body after the risk for pulmonary embolism had subsided. It recommends removing retrievable devices within 54 days after implantation if the risk has diminished. What is unique about the adverse event reports for IVC filters? The FDA is also requiring manufacturers to participate in studies that will provide additional information about the safety of permanent and retrievable filters. Manufacturers have been given the option of participating in specific research, known as the PRESERVE study, or various postmarketing surveillance studies. 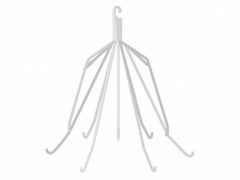 PRESERVE stands for PREdicting the Safety and Effectiveness of InferioR VEna Cava Filters. The independent national clinical study will examine the safety and effectiveness of using IVC filters to prevent pulmonary embolism. The PRESERVE study is slated for completion in May 2019. The data gathered from the PRESERVE study and the 522 postmarketing studies will “help the FDA, manufacturers and health care professionals assess the use and safety profile of these devices as well as understand evolving patterns of clinical use of IVC filters, with the goal of ultimately improving IVC filter utilization and patient care,” according to a 2016 study in Seminars in Interventional Radiology. Six major IVC filter recalls between 2005 and 2015 affected more than 81,000 units. Packaging and label issues prompted most of the recalls, according to the manufacturers. While there have been no major recalls since 2015, thousands of people implanted with the devices have reported complications. And companies have not recalled some of the most problematic devices. A 2015 NBC News investigation linked Bard Recovery and G2 filters to 39 deaths. The company never recalled either device. Instead, it replaced them with similar models. Cook Medical filters also face blame for injuries and deaths. The FDA has received hundreds of reports of Cook Celect and Gunther Tulip problems, but the company never issued recalls for either. Meanwhile, thousands of people who suffered injuries have filed IVC filter lawsuits. Research studies have confirmed problems with retrievable IVC filters. A 2013 study in the Journal of the American Medical Association (JAMA) looked at the devices’ failure rate. 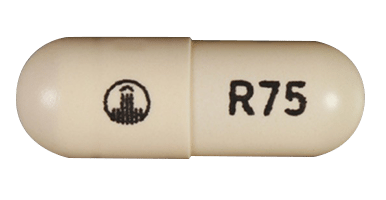 Researchers discovered doctors only removed 58 out of 679 retrievable filters. When the filters remained in patients longer than medically necessary, 18.3 percent of attempts to remove the devices failed, 7.8 percent of patients had venous thrombotic events, and 25 patients suffered pulmonary embolisms. Introduced in 2003, the Recovery filter was C.R. Bard’s first-generation product. A second-generation device, the Bard G2, arrived in 2005 as a replacement for the Recovery. But before Bard replaced the Recovery, the FDA had received 300 reports of adverse events linked to the device. Results from one study showed about 25 percent of the Recovery filters failed, causing the device to fracture or break apart. One patient died at home, although the study did not explain the reason. The NBC News investigation linked the device to at least 27 deaths. The Bard G2 had a 12 percent failure rate and remained on the market a shorter amount of time than its predecessor. Bard stopped selling the Recovery when the G2 arrived on the market in 2005. The G2’s successor, the G2 Express, entered the market in 2008. One study found all of Bard’s devices experienced a combined 12 percent fracture rate. A 2017 study found use of IVC filters experienced a “significant decline” after the FDA’s 2010 safety warning. Researchers at Washington University School of Medicine in St. Louis looked at more than 1 million patient records covering a 10-year period. Between 2005 and 2010, use of the device rose by more than 22 percent. 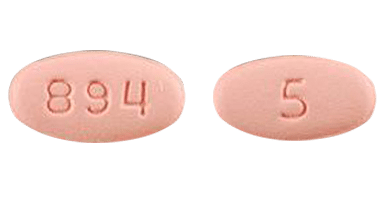 But it dropped dramatically after the FDA advisory, falling more than 25 percent by 2014. At their peak in 2010, nearly 130,000 IVC filters had been placed in patients. By 2014, the number had dropped to around 96,000. A study that appeared in JAMA Network Open in 2018 found an association between IVC filters and increased death risk. The study looked at 126,000 patients’ medical records and found the risk of dying within 30 days of getting a filter shot up 18 percent for certain patients. Those at risk had two specific conditions: they had venous thromboembolic (VTE) disease and they could not take blood thinners. VTE includes deep vein thrombosis, pulmonary embolism or both. The researchers called for randomized clinical trials to better test the filters’ safety and effectiveness. Only patients with acute blood clots who can’t take blood thinners should receive IVC filters. If doctors implant the filters for other indications, it should be after much consideration and accompanied by appropriate documentation, experts say. For patients who are not good candidates for the devices, doctors may instead recommend blood thinners or lifestyle changes. The most widely used blood thinner is warfarin, followed by novel oral anticoagulants like Xarelto, Pradaxa and Eliquis. Blood thinners carry risks for side effects like uncontrollable bleeding, and in many cases, patients who begin blood thinners must take them for the rest of their lives. In some cases, lifestyle may also prevent a person’s likelihood of developing blood clots. People should avoid smoking, high-sodium diets and things that cause high amounts of stress. Treating conditions such as high blood pressure, high cholesterol or an overactive thyroid can also decrease blood clot risks.